I know it's better than several years ago, but it's really hard to find fair trade chocolate in Japan. Maybe I'm not looking in the right places. I guess if I check the co-op market or go into the city, there are more options available, but generally of the fancy variety with nuts and fruits added in. I buy raw nuts separately for snacks and mix in a piece of chocolate. I'd love to try the People Tree brand some day as they look fantastic, but that's not an everyday chocolate for me. I'm just looking for a fair trade dark chocolate, comparable with the Meiji 86% brand I had been buying before deciding to buy fair trade. PS: I've heard that Kit Kat only uses fair trade chocolate, but am not sure that this is true, plus it's not my style to snack on candy bars. I found a nice option at Kaldi mentioned before, but it's just too far away (and crowded) for me to ever want to go there. My local The Big or Max Value (Aeon Group) used to have a fair trade chocolate, more like 70% cocoa, but affordable and easily available. I haven't seen it at all lately. 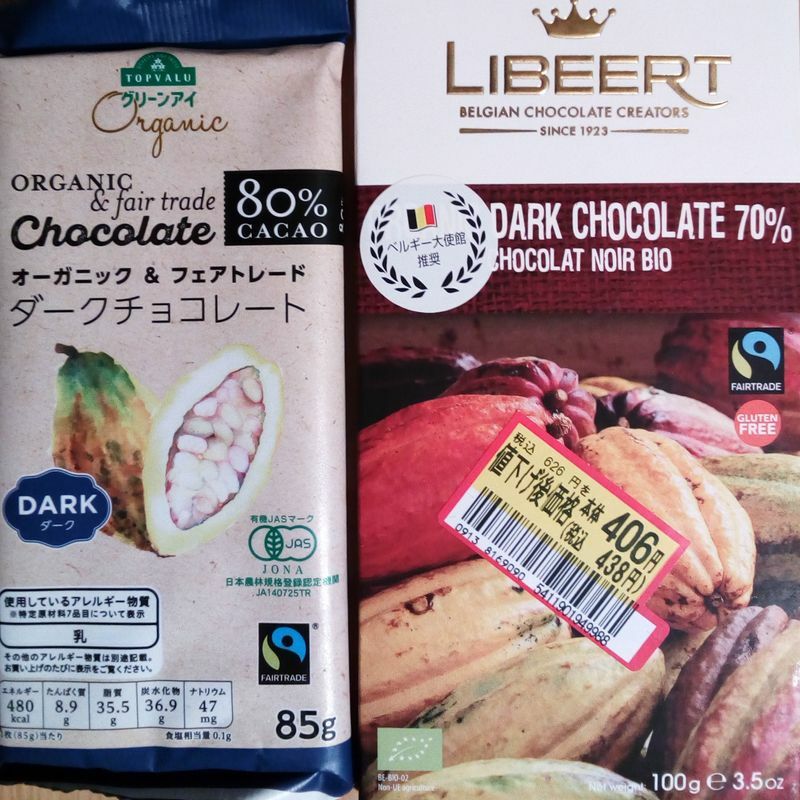 I checked the bigger Max Value in town when I had like five minutes to spare and found a discounted fair trade 70% (regular price 626 yen for 100 grams!) which is fancy Libeert Belgian choco. 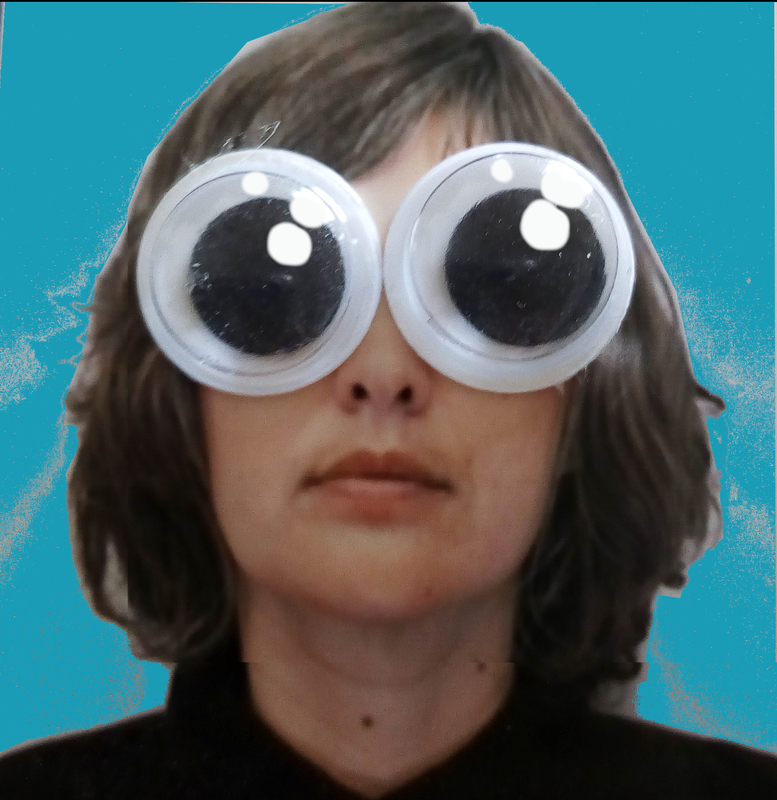 But then noticed a new store brand (Aeon's Green Eye) fair trade option. It's both organic and fair trade, plus a bigger size. The previous one was I think 45 grams for at least 150 yen and this one is 85 grams for 267 yen (tax included). For reference, the 50 gram fair trade bars at Kaldi run around 200 yen each. So, how was it? The Belgian Libeert was a little fruity and so smooth (compared with other 70% cocoa chocolate I've had). I do like this Green Eye brand fair trade chocolate though – the taste is better than the Meiji brand I used to always buy, plus I don't need individually wrapped pieces so it also creates less waste. I hope this one sticks around and for those of you who prefer milk chocolate – there is a fair trade milk chocolate by Green Eye as well. If you know of another good fair trade choco sold in Japan but not so hard to find, please share! Cadbury Dairy Milk bars are fair trade. I wouldn’t say they’re entirely easy to get, but they’re definitely in international supermarkets and in quite a few regular ones as well! @Lyssays Good to know. I find Cadbury's products to be too sweet for me, but I think this is helpful for others.